Older Americans face challenges on many fronts, at the top of the list is affordable housing. On a daily basis SHAG encounters the struggles residents have to stay in their homes and continue to live vibrant, independent lives. To help them with this goal, SHAG instituted the SHAG Foundation and employs a dedicated staff to support residents needing help with basic day-to-day needs: wellness, transportation, nutrition and coordinating their health care needs. This is a departure from most affordable housing providers, but one SHAG knew was essential to its mission. In 2012, SHAG created the Foundation to focus on supporting residents’ independence in their SHAG communities. Within the Foundation, Resident Service Coordinators (RSCs) facilitate solutions by assisting residents in identifying community resources that promote and sustain their independence. “For many residents, RSCs are the conduit between themselves and the community at large in terms of understanding and accessing programs and services for them. Also, they serve as advocate for residents helping them navigate the many challenges of life,” said Ruben Rivera-Jackman, director of resident services for SHAG. SHAG’s RSCs work with residents and their social support networks, case workers, volunteers, community groups, and Community Managers to identify solutions and connect residents to needed supports and services. This also includes educating and empowering residents to navigate health and human services systems as well as others. 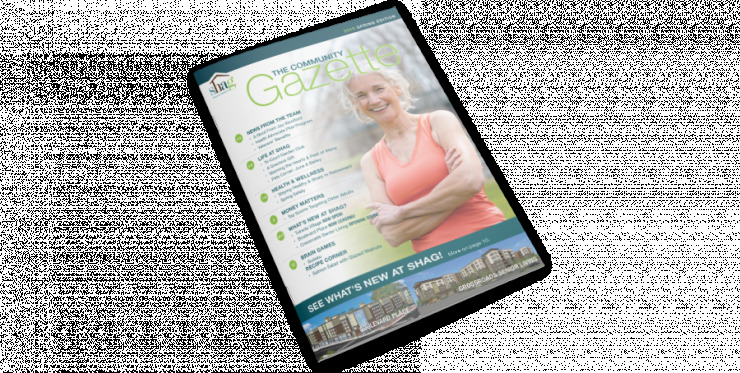 SHAG partners with many organizations and companies to make life better for residents. These include The Hoarding Project, NW Furniture Bank, Verdant Health Commission, UW School of Pharmacy, UW School of Nursing, T-Mobile, Sound Generations, Full Life Care and). Veterans Administration Supportive Housing (VASH).